Sunday 9 AM- 5 PM. 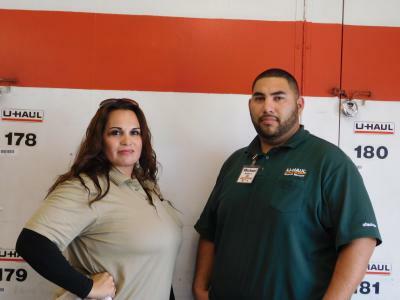 Here at U-Haul Moving and Storage of East Speedway, Our goal is to make your move as easy as possible. We offer an extensive list of moving supplies to protect all of your valuables. We offer high-quality boxes, tape, mattress covers, TV boxes to protect your flat screen, and more. As always we have a Moving Van or trailer to meet your needs, whether you're moving across town or across the country count on us to be open 7 days a week. Also, our new 24/7 truck-share program allows you to rent a truck after hours on your smartphone. Our center can also get you set up for any towing situation. Whether you are looking to get a simple tow package installed or a full base-plate and tow bar set up let our experts help you choose the hitch that is right for you. We also offer propane refills for your RV, barbecue tank or forklift. Our U-box department can accommodate your portable storage needs and ship anywhere in the world. We even offer door to door delivery in most areas, but if you're not in our immediate delivery zone we have many options to fulfill your order. Including self-delivery or you can hire helpers to pick up and load the boxes for you. If storage is what you need before, during, or after your move we offer climate controlled units.